Govindudu Andari Vadele has opened to some decent reviews all over. National Award winning actor Prakash Raj, played a major role in this film which was directed by Krishna Vamsi. We caught with Prakash on the eve of the film’s success. Let’s see what he has to say. How are you enjoying the success of this film ? Right from the day I heard the script to the last day of the shoot, I had only positive vibes about this flick.. I kept telling everyone that GAV will be a super hit, and as you can see, the audience has made it a huge hit. How was it working with Krishna Vamsi, whom you had differences with in the past ? We both are like minded people. We have strong opinions and always fight for some thing or the other. We had some differences in the past, which we sorted out and the result is for you to see. You always get better roles in his flicks. Why is that ? As I said earlier, we are like minded people and he writes roles keeping my sensibilities in mind. So whenever, I act in a Krishna Vamsi film, I get noticed and praised even more than my other films. One of your songs ‘Neeli Rangu Cheeralona’ has caught on quite well. What do you have to say about this ? All the credit should go to Krishna Vamsi, and the way he has shot the song and brought out beautiful emotions. That one song is a key to the entire movie, and binds the entire family together. 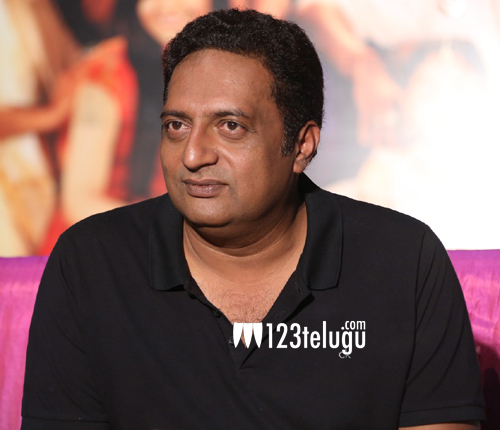 How was it working with Ram Charan ? Oh ! It was a great experience. Even though he is way junior to me, the way he has gone about his role in the film is just amazing. He has matured a lot in the recent past, and that shows on screen. What is your favorite scene in the film ? The entire film itself is my favorite. I had great time working in this film, and will cherish these memories all my life.